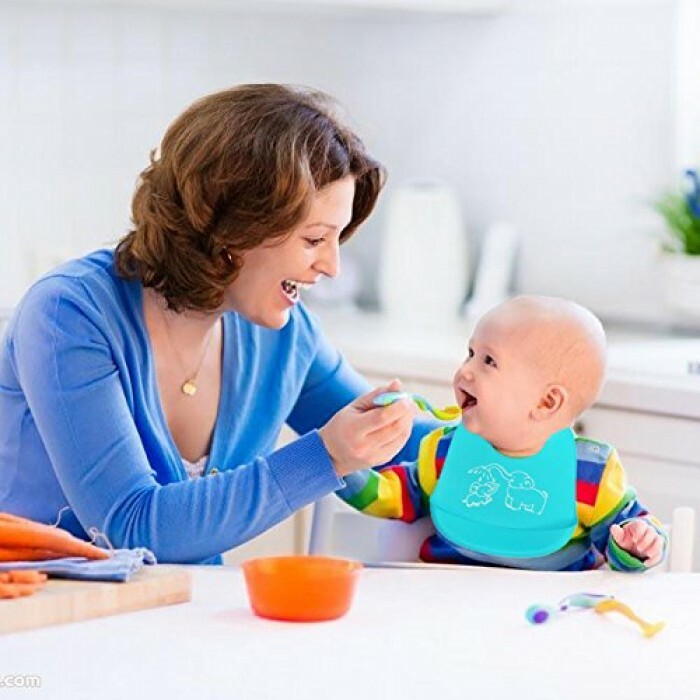 UNIQUE POCKET OPENS WIDER THAN OTHER BRANDS -Compared to plastic and cloth bibs,Pandaear machine washable bibs are THICKER and effective at holding their shape to catch food and liquids without spilling out and growing mold. SPECIAL PROCESS ELIMINATED SILICONE ODOR- Top food grade soft silicone and BPA free. Not rigid compared to other brands yet are more durable and comfortable for toddles. 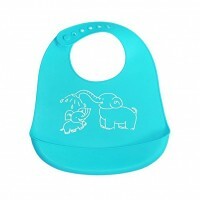 GUARANTEE-Our bibs offer the SAME QUALITY at HALF the PRICE of other brands. WHY WASTE YOUR MONEY? If you are not happy with our bibs, we have you covered. Simply contact us at any time.No questions asked. 1. Perfectly designed to combine the benefits of soft fabric with durability of silicone, easy to clean and antibacterial. 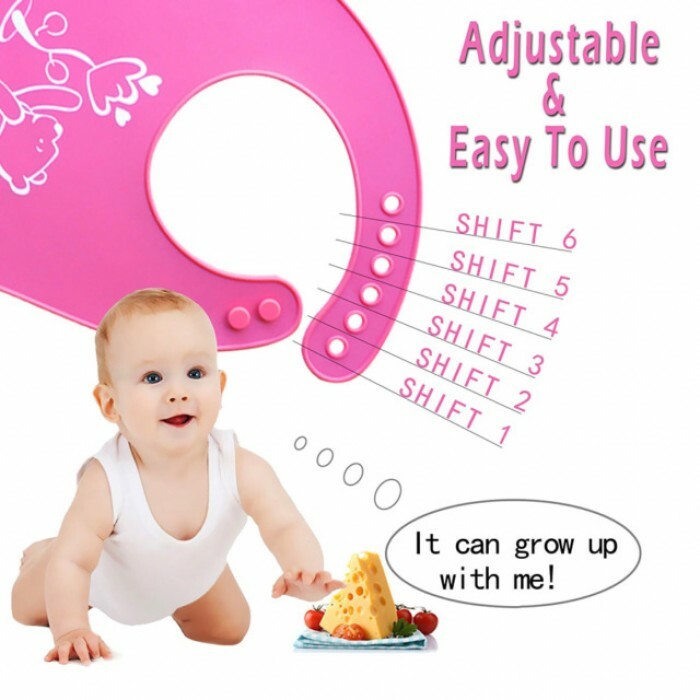 These bibs are machine washable and quality will not comprise. 2. 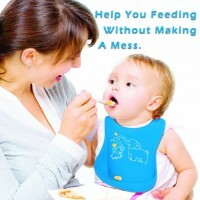 Wider and firmer pocket allows to catch all food crumbs or liquid spillage. No more huge mess caused by liquids and baby food puree. 3. 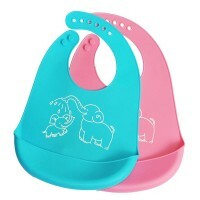 You will find these bibs made with much higher quality silicone than most brands yet at HALF the PRICE. 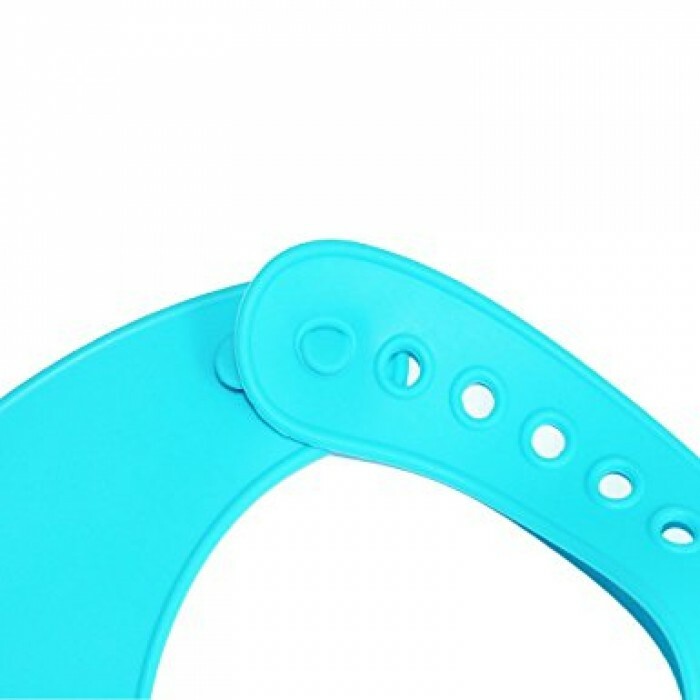 They are thicker, stronger and FREE of BPA and Silicone ODOR. 4. 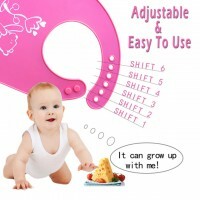 Unisex design and adjustable soft button straps perfectly fit for 1 year old babies & onwards. 5. 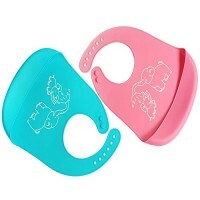 The bibs can be rolled up with toddler utensils into the deep pocket providing easy portability.